We have seen rumors that suggest AMD Navi won’t immediately occupy the high end of the market – even if it may include similar variable rate shading to Nvidia Turing. Instead, AMD Navi looks like it’ll occupy the mid range at first, along with the rumor of a GPU designed for the next generation of consoles. So, before we dive into all the juicy gossip, speculation and even some official info, you should know that nothing has been confirmed. Still, you should keep this page bookmarked, and we’ll keep it updated with all the latest information as it emerges. But, AMD Navi graphics cards may appear much earlier. There has been plenty of speculation that AMD may launch Navi alongside its 7nm Zen 2 processors at Computex 2019 in July. that would still be the second half of 2019, but it does seem a bit early. So, instead of any high-end GPU, we’ll likely see a Radeon RX 600 series that’ll continue the legacy of cards like the AMD Radeon RX 580, delivering respectable performance in modern titles at 1080p while keeping prices attainable for more budget-conscious gamers. So instead of the Nvidia GeForce RTX 2080 Ti rival, think more Nvidia GeForce GTX 1060 in terms of direct competition – at least until Navi 20 next year. 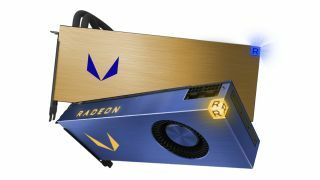 There are rumors that AMD is going to follow up the first iteration of Navi, which will be aimed at mid-range systems, with Navi 20, which should compete with Nvidia’s flagship. This next-generation graphics card family is rumored to offer improved performance, allowing for ray tracing, according to a report from Wccftech.